Situated in the quiet outskirts of Castel di Sangro (800 m.) about a kilometre from the town centre, the Sport Village Hotel has many guest facilities including the superb Fluentia Spa and Wellness Centre. 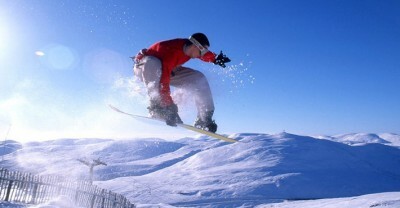 A complimentary ski shuttle is available to take guests to the ski slopes of Roccaraso, about 15 minutes away. 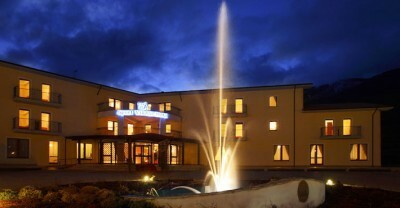 The Sport Village Hotel is located in ample grounds offering plenty of free car parking. 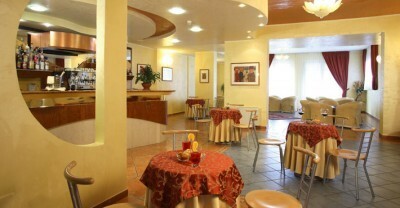 There are 85 well furnished guest rooms including family rooms suitable for up to four people. 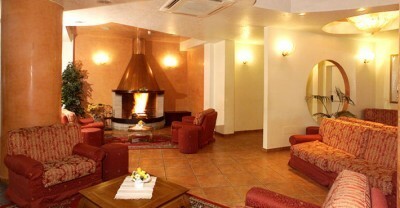 Off the reception area there is a guest lounge with fireplace, and bar. 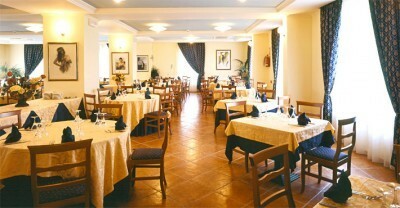 The restaurant, for breakfast and dinner (and lunch if required) is also on the ground floor. The lower ground floor is given over to the extensive facilities of the Fluentia Spa and Wellness Centre. Other amenties include rooms where guests can relax and play cards, and the Centro Area Libera, a supervised play room for children. 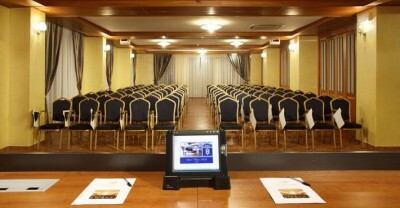 Free wireless internet is available throughout the hotel. 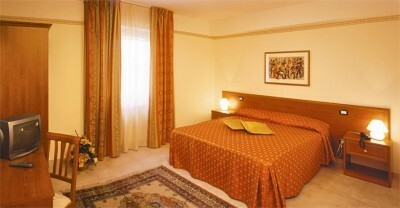 Many of the guest rooms have recently been refurbished in an elegant style and sleep from 2-4 people. Each room is equipped with private bathroom with shower, w.c. and hairdryer, telephone, colour TV (Italian channels only), wifi internet and minibar. Room service is available. 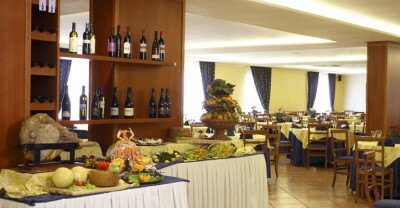 All meals are taken in the spacious restaurant of the Sport Village Hotel. Breakfast – An extensive buffet is served each morning including cheese, ham, cereals, yoghurt, a selection of pastries, toast, jams and fruit. Hot drinks include coffee, tea, milk, chocolate, all available from self service machines. Fruit juices and water complete the list. 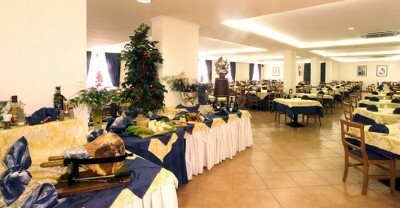 Dinner – An extensive salad buffet is available each evening, followed by a choice of first and second courses plus dessert. The wine list features a wide choice of excellent Abruzzo wines. There is a special ‘Abruzzo’ dinner each week, featuring traditional dishes from the region. Entertainment and Guest Facilities The Spa centre and fitness room are undoubtedly a big draw for this hotel. A programme of optional organised guest entertainment (animazione) is available for most of the season, for adults and children alike. 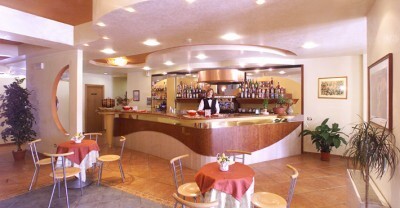 Animazione is quite common in Italian hotels, and is provided for Italian guests, although anyone is welcome to participate. The Sport Village Hotel is very family friendly, with facilities such as the Centro Area Libera, a safe and fun supervised playground for children. A scheduled ski shuttle takes guests to and from the ski slopes of Roccaraso. Airport transfers can be arranged by the hotel. Wellness and Spa The Fluentia Spa and Wellness Centre is a perfect haven and is open each morning and then from mid-afternoon until evening. In addition to the warm pool, Kniepp, saunas, steam baths and more, a plethora of treatments are available to soothe and invigorate. Childen under 14 are not admitted. 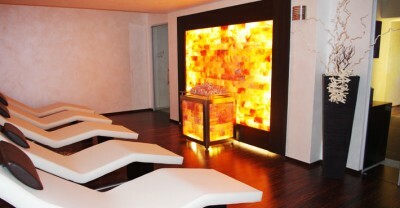 Entrance to Fluentia (excluding treatments) costs €25 per person per session.